Newswise, January 3, 2017 — Regular use of aspirin by people living in Shanghai, China, was associated with decreased risk for developing pancreatic cancer, according to data published in Cancer Epidemiology, Biomarkers & Prevention, a journal of the American Association for Cancer Research. Data from the new study and meta-analysis of data from 18 other studies suggest that over the past two decades, as the general population’s use of aspirin has increased, the effect of aspirin in decreasing pancreatic cancer risk has become more pronounced. “Pancreatic cancer is one of the deadliest types of cancer—fewer than 8 percent of patients survive five or more years after diagnosis—so it is crucial that we find ways to prevent it,” said Harvey A. Risch, MD, PhD, professor of epidemiology in the Department of Chronic Disease Epidemiology at the Yale School of Public Health, Yale School of Medicine, and Yale Cancer Center in New Haven, Connecticut. “We found that regular use of aspirin by a large group of people in Shanghai cut risk of pancreatic cancer almost in half." “These new data are consistent with what has been seen in other populations around the world,” continued Risch. “Pancreatic cancer is relatively rare—just 1.5 percent of U.S. adults will be diagnosed with it at some point during life—and regular aspirin use can cause appreciable complications for some. Risch and colleagues recruited patients newly diagnosed with pancreatic cancer at 37 Shanghai hospitals from December 2006 to January 2011. They also randomly selected controls from the Shanghai Residents Registry. The 761 patients with pancreatic cancer and 794 controls were interviewed in person to determine when they started using aspirin, the number of years they used aspirin, and when they stopped using aspirin, among other things. Almost all aspirin users used aspirin daily. Among the patients with pancreatic cancer, 11 percent reported regular use of aspirin. Eighteen percent of the controls reported regular use of aspirin. After adjusting for a number of factors, including body mass index, smoking history, and history of diabetes, the researchers found that ever having used aspirin regularly was associated with a 46 percent decreased risk for pancreatic cancer. 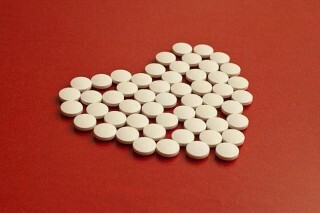 Risk decreased by 8 percent for each year of aspirin use. In reviewing the literature, Risch and colleagues found 18 other studies that had investigated aspirin use and pancreatic cancer risk. Meta-analysis of the data from these studies showed that if the studies were considered by the year at which the midpoint of when the aspirin exposures were ascertained in the study, the odds ratios for regular use of aspirin and pancreatic cancer risk significantly decreased by 2.3 percent per year through the present. According to Risch, the main limitation of the Shanghai study is that it is a case-control study that relied on participants accurately reporting past aspirin use. The study was supported by grants from the U.S. National Cancer Institute, the Science and Technology Commission of Shanghai Municipality, and the Shanghai Cancer Institute. Risch declares no conflicts of interest.